Generator, electronic and electrical components. 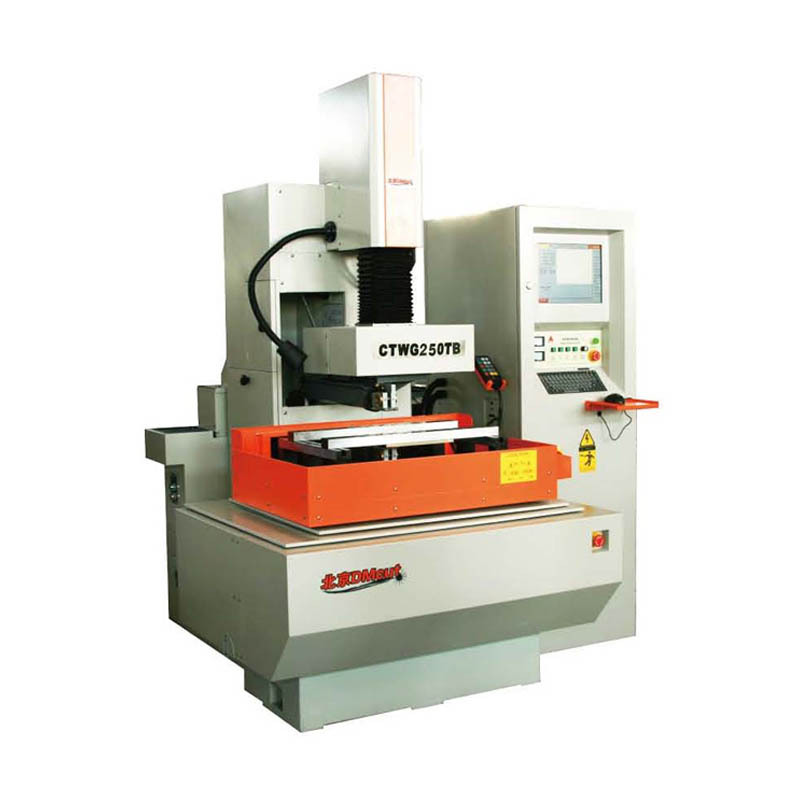 The machine uses an advanced, own design, pulse generator, which through ultra-low pulse width allows high cutting speed, high precision, very good surface smoothness. The control unit has been designed in easy-to-use modules. Steel and copper, aluminum and other non-ferrous materials can be cut with high efficiency thanks to the unique discharge technology. All special digital circuits generate a high frequency pulse width from 1µs to 120µs. Generator, electronic and electrical components. The machine uses an advanced, own design, pulse generator, which through ultra-low pulse width allows high cutting speed, high precision, very good surface smoothness. The control unit has been designed in easy-to-use modules. 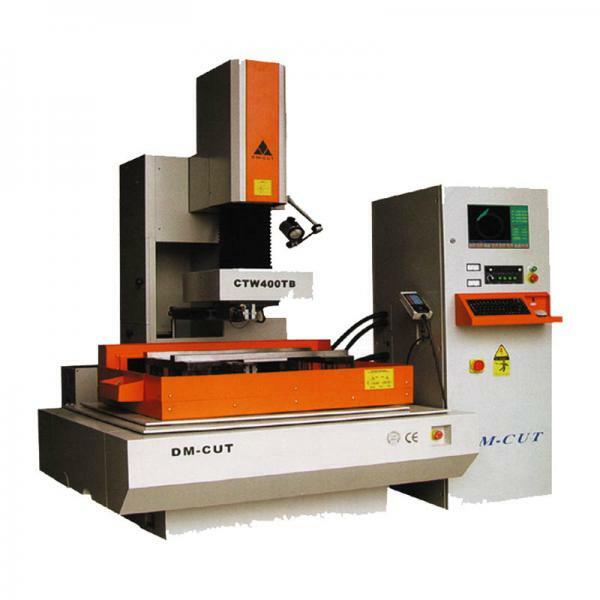 Steel and copper, aluminum and other non-ferrous materials can be cut with high efficiency thanks to the unique discharge technology. All special digital circuits generate a high frequency pulse width from 1µs to 120µs. - an auxiliary computer is responsible for the "physical" operation of the machine, for table movements, for cutting, etc. It accepts commands from the host computer and executes them. The solution with two computers, in the age of viruses in the network, is more secure than anything in one computer. 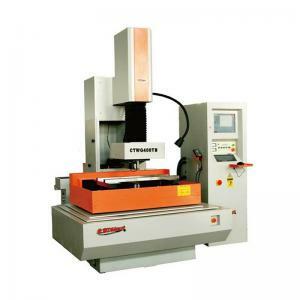 Each manufactured machine undergoes a series of tests and measurements using a laser interferometer. The control standard for the µ class. The slack compensation values ? ?on the lead screws are entered into the tables in the machine control and are used for precise movements of the machine table. DM-CUT machines are fully encapsulated. The treatment fluid is collected inside the machine and directed to the working tub and then to the tank. The fluid does not splash around the machine, the operator's station is clean. Metallic fluid contaminated with metal filings must be disposed of on a general basis, like any coolant in the workshop. It can not be poured directly into the sewage system.